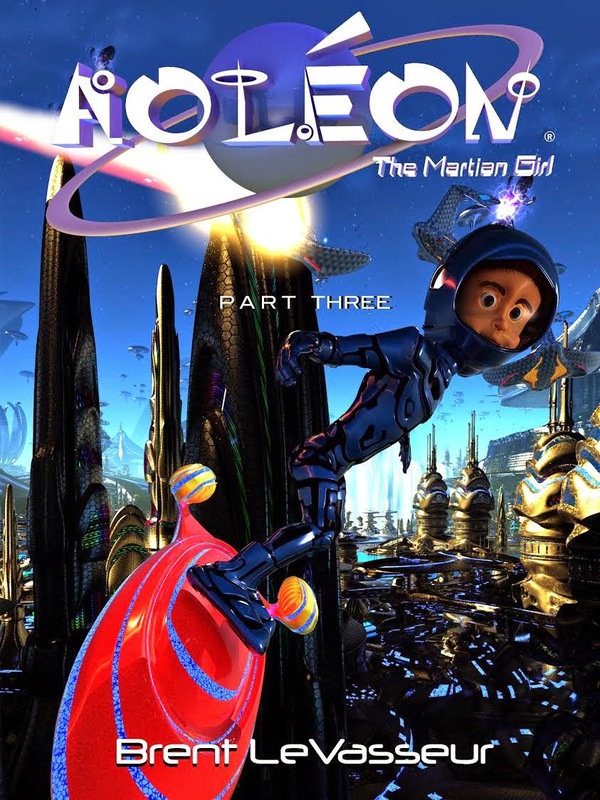 Don't miss this exciting part 3 of 5 of the middle-grade sci-fi series Aoleon The Martian Girl. 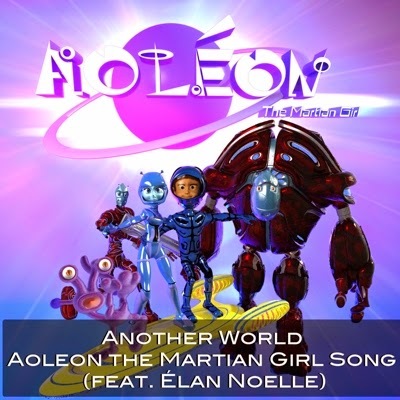 I have enjoyed reading and reviewing Aoleon the Martian Girl Parts One and Two. Part Three begins at the exact point where Part Two left off. The pace and adventure level really picks up. The threat that Gilbert and Aoleon face is more serious and they must take greater risks. The chapter about Aoleon's pilot test was very exciting, as Aoleon and Gilbert encountered an unexpected event during her test. I found the way that telepathic communication worked, especially between the two friends, to be very interesting. The description of the Draconians - and even their name - invoked concern for our brave protagonists. It is interesting the way the books have each progressed in intensity, and the Ciakar in this book is a real threat to Gilbert and Aoleon as well. The illustrations of the Ciakar were scary in a way that young readers will enjoy. The writing was lively and fresh, with lines like: "Gilbert realized this could be the end of him. He was incredibly frightened. If fright were a fish, his would be a whale. Except whales are not fish. But they're big! And that is the point." The illustrations in this book were once again a real standout. The colors were rich and vivid, and the detail of the illustrations brought extra life to the story. This book, and the others in this series, are sure to appeal to middle grade readers who enjoy an action-packed science fiction book. I am already looking forward to reading along with Aoleon's next adventure! I'm here from the #kidlitbloghop. Thanks for your review. These books sound great for the kiddos! Hi Martha! Thanks for the visit. Love the #kidlitbloghop. The Aoleon books are lots of fun. These books look super. Great review! Stopping by from the Kid Lit Blog Hop. I'm always a fan of scifi for middle graders and this one looks like a ton of fun! Thanks for the comments! I've read the first 3 books in this series for reviews, and enjoyed them all. (I'm not usually a sci-fi reader, either.) Still have 2 more books in the series coming up! Too cute! I love that line you included from the book...made me giggle. Visiting from the KLBH. Sounds like a fun series for young readers. Thanks for sharing on the Kid Lit Blog Hop! I've never run across this series before but I'm sure my daughter would enjoy these. I like that they are relatively short - sometimes kids just want to fly through one book. Thanks for sharing in the Kid Lit Blog Hop. Renee, thanks for visiting! Yes, these are fairly short and a quick read.